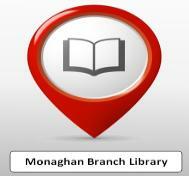 Monaghan County Library Services can offer you a range of Printing Solutions no matter where you are. 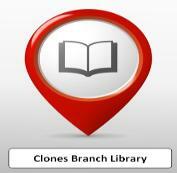 Printing has always been available from our Public Access PCs located in each of the 5 Branch Libraries. However we are now offer printing services from‌ your Laptop, Tablet or Smartphone. As long as you can connect to the Internet, you can send your job to print in Monaghan, Clones or Carrickmacross Branch Libraries. Simply Download the PrinterON App from Google Play Store or the App Store. Email your item to your local Library Printer using one of the email addresses below. You will be sent a confirmation email to say your job has been accepted. Email forwarding is ideal for online email portals such as Gmail, Hotmail or Yahoo!